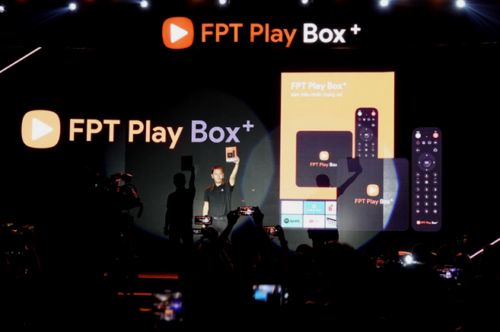 On 19th March, the largest information technology service company in Vietnam, FPT Telecom, has launched Vietnam’s first Android TV 9.0 smart device called FPT Play Box+. SDMC was invited to attend the product launch and expressed warm congratulation as an important cooperative partner. SDMC Team discussed with the senior leaders of FPT and Google for strengthening cooperation in the area of the smart home and provide high-quality Android TV OTT services for Vietnamese users. FPT Play Box+ has a simple and intuitive interface, it provides an advanced entertainment and technology experience of Android TV P, while personalizing the program recommendations based on family members’ preferences. Users can enjoy more than 5,000 apps and games from Google Play which satisfy entertainment needs of all ages. With hardware upgrades, the voice control combined with Google Assistant allows users to easily search for content, find calendars, control smart home devices, and create a box-centric smart home entertainment experience.